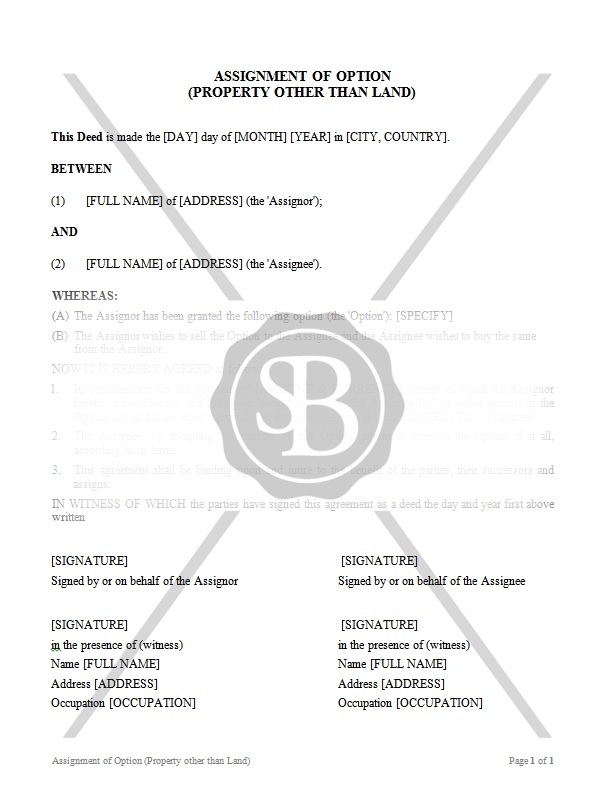 This Agreement is concluded between the Assignor and the Assignee. The Assignor has been granted the certain option to purchase certain property by a third party. The Assignee wishes to purchase said option from the Assignor. In return for the certain amount of money, the Assignor assigns and transfers to the Assignee the entire interest and the right to exercise the said option. This Agreement sets out terms and conditions of such assignment.